1 of 2 Use a vegetable peeler to shave zucchini into ribbons. Place in a large bowl. 2 of 2 Gently toss zucchini with olive oil, lemon juice, salt and pepper. 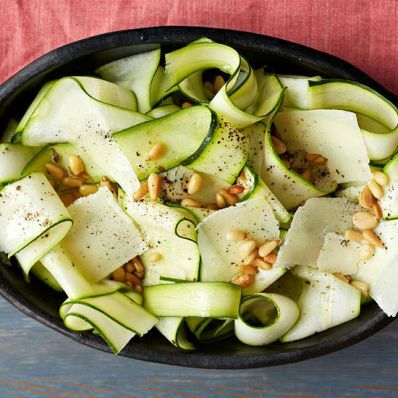 Top with shaved Parmesan and pine nuts and serve immediately.